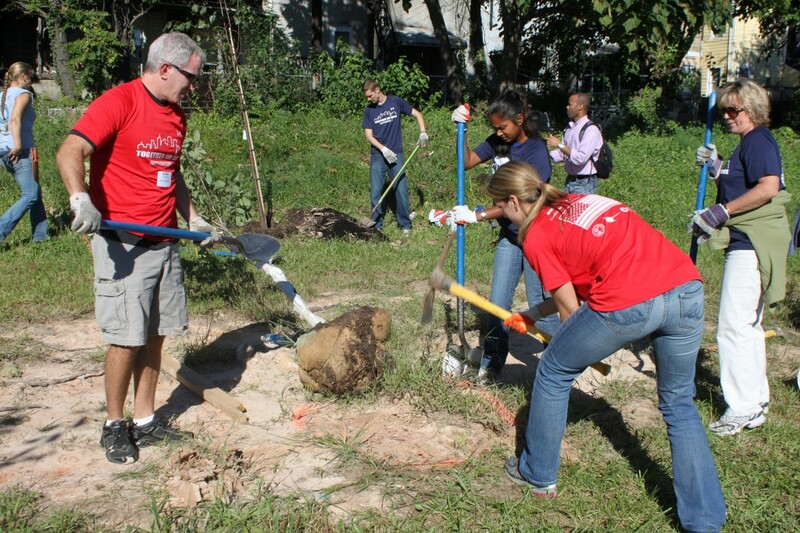 As we remembered Sept. 11 this year, employees based out of our Baltimore office were honored to join up with veteran-led nonprofit organization 6th Branch and five other leading companies to help revitalize East Baltimore City’s Oliver neighborhood. Approximately 150 employees from Constellation, CareFirst BlueShield, T. Rowe Price, Legg Mason, Under Armour, and Baltimore Gas and Electric Co. gathered on this day of service and remembrance to give back. 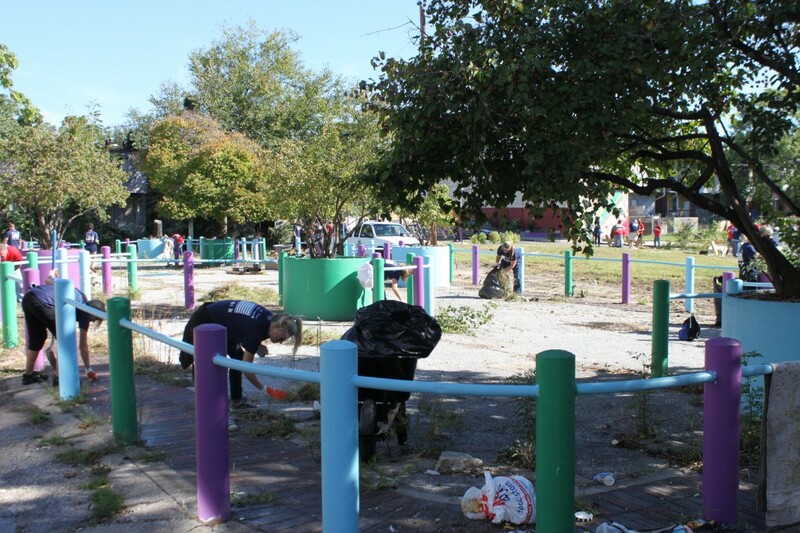 Volunteers participated in a general clean-up of the neighborhood filling an entire 40ft. dumpster with trash and debris. They also planted trees, built picnic tables, installed new basketball hoops and horseshoe pits as well as painted a mural and the equipment on the local elementary school’s playground. Throughout the day, residents of the local neighborhood, including kids that lived nearby, stopped by to help. Restoration of the neighborhood, which has a history of crime, poverty, and vacant homes, is part of a larger initiative, Operation Oliver, run by the 6th Branch. We have an ongoing commitment to work with the 6th Branch to help renew the neighborhood in a number of ways. In addition to participating in a clean-up on this year’s MLK Day of Service and working with them on the Mayor’s Clean Community Competition kick-off in April, we have provided the 6th Branch with an EcoStar Grant to help them in their stewardship of the vacant lots they acquired through Baltimore’s Power in Dirt initiative. At the heart of what we’re doing is knowing that we’re making a difference in the communities we serve, no matter how many projects or hours we spend to support community projects. Events such as the one that happened on 9/11 emphasize just how important it is to come together to help your local community in the same way that so many heroes united following the attacks.